In 2006 when I decided to start going to graduate school, Yellow Tail Shiraz was my table wine. Really. 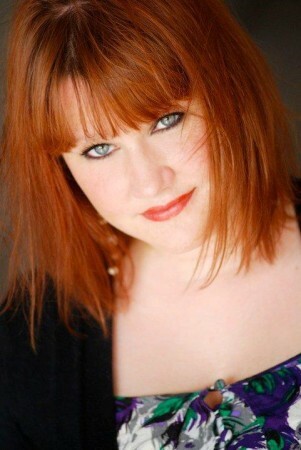 I was determined to start my MBA because I felt like I had so much more to give. My brain becomes bored easily; I prefer challenges, both mentally and emotionally. If you were to meet the sommelier and I in person, you would know this. He is the ying to my yang, my complete opposite, and a challenge to crack. Countless friends and family have commented on his dour nature versus my energetic friendliness, and wondered how we ever got together. That story, however, is best left to another post. A true buttress of support throughout the long battle with my degree, the sommelier has endured countless sleepless nights to the sound of my keystrokes, been subjected to stressful series of exams, and dealt with anxiety surrounding such exam failures, of course which never materialized. A myriad of wine glasses have found their way onto my nightstand. 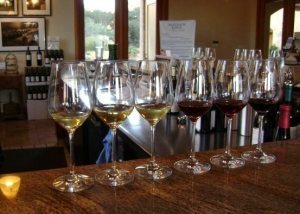 It is important to note that the wines mentioned in this post are my wine memories alone, as the sommelier has always had a completely different palate, much more sophisticated and refined. When we go to dinner, he chooses our pairings, as it should be. I have always been especially sensitive to marketing, and very critical as well. In 2006, I thought Australian wine was the bees knees, and (back then) Yellow Tail was sensibly priced at $6.99 a bottle. I could drink 750ml and think nothing of it. Just like any other 26 year old, learning about wine was the last thing on my mind. Drinking wine, however, was another issue entirely. Very fruit forward, with strong notes of berry and a hint of vanilla, it paired well with my night of watching HBO. Of course, if I were at dinner I would lean toward a more premium wine, a Chateauneuf-du-Pape or Bordeaux. I loved the earthy flavors; tasting the soil in every sip, I thoroughly enjoyed my red beauties with mushrooms and onions. I had only met the sommelier a year earlier, just bought a house, and was working fifty hours a week. Our weekends were spent late at Soleil Bistro and Wine Bar, dancing to keyboard cruise music and drinking half priced bottles of French wine. The sommelier had just opened a new restaurant for good friends of ours. While I would never recommend Yellow Tail to a beginner now (unless you are cooking with it, of course), it was a logical choice for me at the time. If you are new to drinking wine, and want to start with an inexpensive light red wine, try Louis Jadot Beaujolais Villages. It’s 100% Gamay, slightly fruity, and very light in tannins. Find it at HEB for about $10. If possible, try to find a Cru Beaujolas, as they are much better in quality. The funny thing is, the more you drink, the more you learn. I find that I like to drink wine in stages. 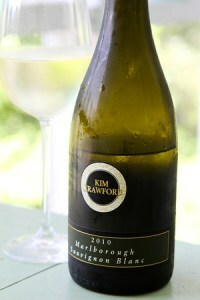 I remember one particular stage in 2007 involving Kim Crawford Sauvignon Blanc, which was a nice shift from the Yellow Tail. One country over in New Zealand, “Kimmy” as we so lovingly called her, was bright, with a nose of citrus, melon, and grass. The palate was slightly creamy, with definite green apple, but balanced with citrus acidity. Pretty reasonably priced, she was a mainstay in our fridge, especially during the summer months. When I see that green bottle with the words “Marlborough” across the label, I reminisce about driving to The Valley, taking time after my workday to walk the South Padre Beach, eating oysters at South Padre Brewing Company, and the smokiness of Kelly’s Irish Bar. I would race home on Thursdays to make my Marketing class, where we worked with the Central Intelligence Agency on a joint advertising venture. It was like having two jobs. It was my first experience as a Director of anything. I loved being so busy. It was also the semester the sommelier and I got engaged in Hawaii, on a well-earned company paid vacation. Not sure those type of reward trips exists these days, but you can find Kimmy for about $18.99 at your local HEB. In 2008, the sommelier and I both were infatuated with everything Truchard Vineyards, although our favorite was Pinot Noir. With an opulent nose of cherry, cranberry, and earth, the palate was silky and round, and coated my cheeks with flavors of plum. A nice spice smoothed out the finish. 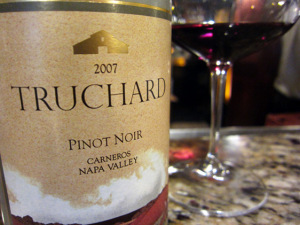 Hailing from the Carneros Valley, Truchard is a family vineyard started by native Texans from the Columbus area. We first visited the winery on the sommelier’s first trip to Northern California, and fell in love with all of their wines. We adored the Truchard Pinot Noir so much that we served it at our wedding. That year, I was still traveling every week, planning our big day, and still taking one night class at UTSA. Economics. Because I like to be busy, you can only imagine that I did not hire a wedding planner, although you can take note that I relied heavily upon my sisters and family for support in this area. Our wedding was complete with a horse and carriage ride to the reception, original handmade mesquite planters, an Austin Powers DJ, and unique foliage. 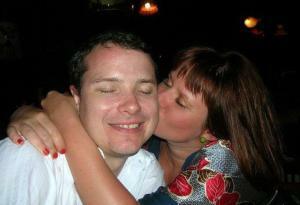 Even though I may have had just a tad bit too much wine at the reception (it was my one and only day, after all! ), it was a success. The sommelier and I have survived the first four years, and are looking forward to many more. You can find the Truchard Vineyard Pinot Noir at the Alon Market HEB for $35. The economic downturn hit home for us in 2009. The sommelier and I were both out of work at the same time. And, even though I was a National Sales Award Winner, two years in a row, I was unable to find an opportunity within my industry. My confidence was shaken. I must have gone on fifty interviews, and was a final candidate at least three times. It seemed to be in vain, however, because I never received an offer. My morale sunk even deeper. We were living off the remnants of a very generous severance and my 401K, but I needed to work. I started lending my time to the City of San Antonio Metro Health as an inspector. Yes you read that right. I was that evil examiner, notebook in hand, watching every move made in the Chef’s kitchen. Even though it was just temporary, it brought me down to size. I continued to venture towards that degree that never seemed in my grasp. Because I was downtrodden, I only took one class a semester. Our habits, too, turned to frugal ways, and I started to enjoy the lighter side of things, including my nightcap. 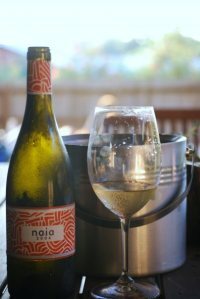 In 2009, I started drinking Naia Verdejo, a drinkable Spanish white wine with a nice price tag. It was surprisingly fresh, with aromas of lime and kiwi; the finish long and dry. A very nice wine to sip in the summertime on your back porch, especially when contemplating karma, gratitude lists, and manifesting better days. You can find Naia Verdejo at Spec’s for $13. In 2010 I reinvented my career into a new industry. Still sales related, I spent my days working whilst still, yes still, attending school at night. This year, however, I was determined to finish. I began scheduling a full course load every semester, three classes in the Fall, three classes in the Spring, one course in the Summer. Our family had plenty of plans to follow through on, especially with sommbaby on the way. We renovated our floors, painted walls, bought furniture, and read parenting books. And then, when I could, in the last trimester, I had my glass of wine. Usually, it was some sort of Syrah, while sitting in the Old Style Mon Ami, chatting with Olaf, waiting on the sommelier to be relieved of IL Sogno. 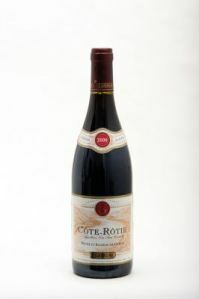 The sweet spice and leather nose of a Cote Rotie from Northern Rhone blended in nicely with the dark red décor of Mon’s. The red cherry flavors of the wine lingered on my tongue as I slowly sipped my one weekly glass. The sommelier would say, “maybe you should try a different wine to develop sommbaby’s palate,” but I insisted. Syrah it was. Amazingly, I made it through my classes with flying colors, even giving birth over Spring Break. I contribute this wine to helping me through a tough labor; just the thought of it soothed my nerves. You can find a J. Vidal-Fleury Cote Rotie Brune et Blonde (2004) at Spec’s for $57. The Italian wines soon made a grand entrance into our home, and decidedly, onto my rack. For those unaware, I have a wine rack in the dining room. Mine and mine alone, I can drink from this wine rack only; no, I may not even dare to open the refrigerated coolers that line our pantry. I would only be scathed with cattails beaded with corks. So, in 2011, Chianti became my drinkable wine. Not because I chose to drink it, or went out of my way to buy it, but because, week by week, it showed up on my rack. “I got a good deal on it,” the sommelier would say. So, there it would be. And, because it really was a great price, we drank a lot of it. Sommbaby was still growing into her own, on a three-hour schedule, and so my Friday nights turned into friendly girl dinners at home with co-workers. We would make veal Bolognese with gnocchi, meatballs with polenta, and pork wrapped in pancetta, and of course, there was always plenty of Chianti to go around. Truly, I think the reason why I love the juicy red wine is because (at its best) it contains at least 80% Sangiovese: dark fruit, dark cherry, and leathers. Notice a trend here? Well, at least I’m consistent. Still, I was venturing on full-time in my course work. I could see the light at the end of my tunnel. Only one semester in 2012, and I would be done. Still, Chianti reminds me of friends near and far, those gained, and those lost to progress. Unfortunately, you can’t find the 2010 Il Principe Chianti I’ve been swigging back on any retail shelf. 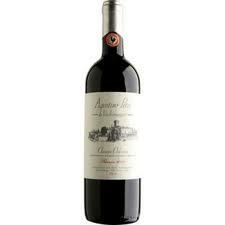 You can, however, find 2006 Agostino Petri Chianti, a better version, at Central Market for $48. A few weeks ago I finally graduated with my MBA. So, what was on the menu for dinner? You can only imagine the difficulty in deciding the wine experiences of those around me. I have had my love affair with Cote du Rhone, rekindled a passion for Gruner Vetliner, and found a new fervor for Rose. We ordered them all. And, the year is still young. Many possibilities abound. I don’t know about you, but the sommelier and I are ready to find a new crush, one which, in the future, can be introduced to sommbaby. We are really looking forward to introducing her to her legacy. Year by year. This entry was posted in uncategorized and tagged Agostino Petri Chianti, graduate school, J. Vidal-Fleury Cote Rotie, Kim Crawford Sauvignon Blanc, Louis Jadot Beaujolas Villages, MBA, Naia Verdejo, oursommlife, sommelier, Truchard Vineyards, wine, Yellow Tail Shiraz. Bookmark the permalink.